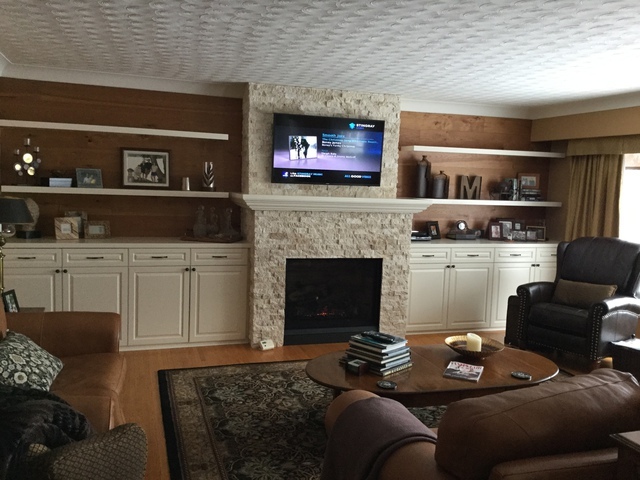 I have worked with Andrew of Northbay Kitchen and Bath on several projects in my home, the lastest was a custome stackstone fireplace with built in cupboards and floating shelves, which we were very pleased with , they also have done a completed renovation of a basement home office, also stone feature walls and bathroom tiling jobs. We have been very happy with Andrew and his team, I have referred Andrew to many clients and friends. Thank you very much for your kind words, we look forward to working with you again in the future. And we are very grateful for the referrals.